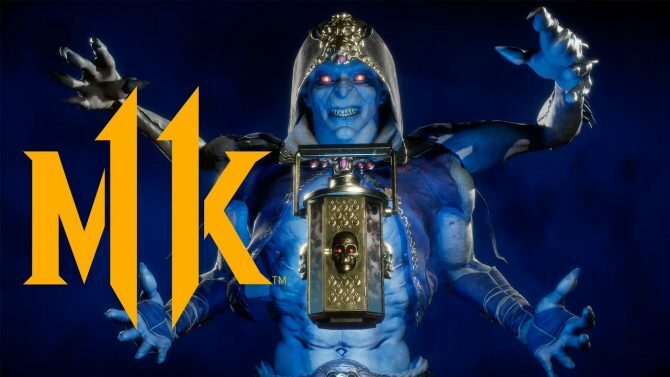 During the Mortal Kombat 11 reveal event this week, we got a look at a small chunk of the cast for the anticipated fighting game. 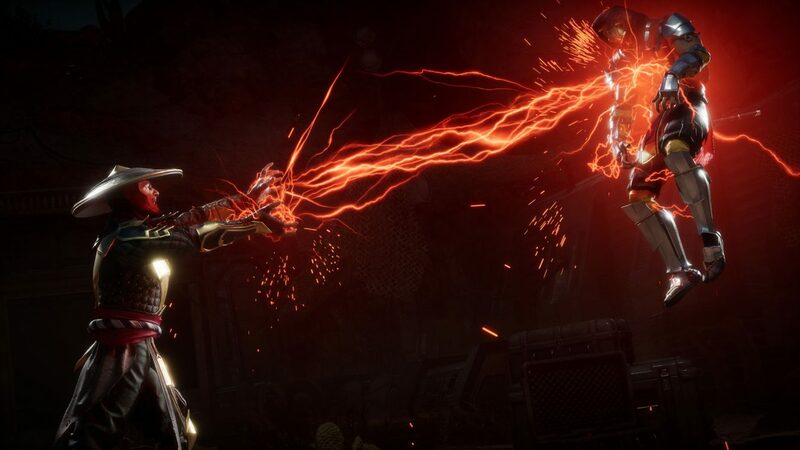 New faces like the time-shifting Geras, as well as old favorites like Baraka, will certainly make things super violent; probably more than ever, since it seems that each iteration of NetherRealm Studios’ long-running series seems to one-up itself, particularly in gore, with each entry. With that said, we also got a look at the character select screen where Sonya Blade (voiced by Ronda Rousey), Raiden, Baraka, Geras, Skarlet, Sub-Zero, and Scorpion each occupy a space. But what about the other 18 spaces that were empty? Just as integral to the series as Scorpion and Sub-Zero is Liu Kang. As the hero of many Mortal Kombat games, I’ve always considered him a great starter character based on his typically simple move set. While the character was not properly revealed this week, I think Liu Kang will almost definitely be part of the lineup. During the reveal event, Ed Boon said that there will be moments in the story where new versions of some of the characters will meet their younger selves, which we seem to have seen with Liu Kang in the recently posted behind-the-scenes video. Without a doubt, Liu Kang is in this game and I’m sure that really annoying flying kick will be back as well. For the same reason that Liu Kang would come back, we also see Kung Lao in a number of the recently released videos. 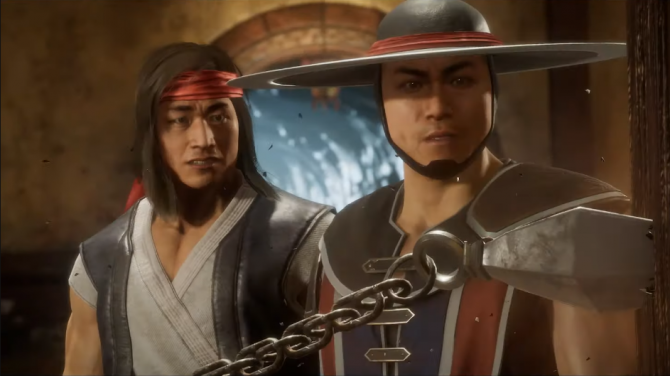 Again, in the behind-the-scenes video, we see two Kung Laos probably about to cut each other face’s off with their iconic hats in what is presumably the game’s story mode. Kung Lao is a personal favorite of mine, and that’s why I’m hoping to see him come back. I’ve never played the character well in any entry of the Mortal Kombat series, but he just has so much style. I mean, that hat is pretty sick. 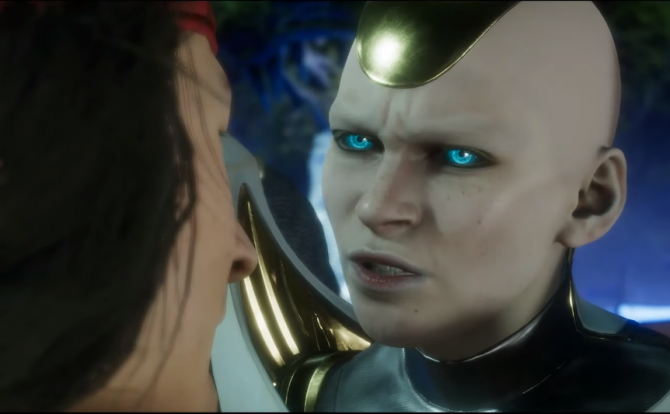 Mortal Kombat 11‘s story begins where Mortal Kombat X‘s story ends, with a defeated Shinnok. The beginning shows a chained Shinnok being tortured by “dark” Raiden. After basically telling the thunder god that he has become the thing that he once hated, Raiden cuts Shinnok’s head off and sets it on a stone table for him to seemingly suffer forever. 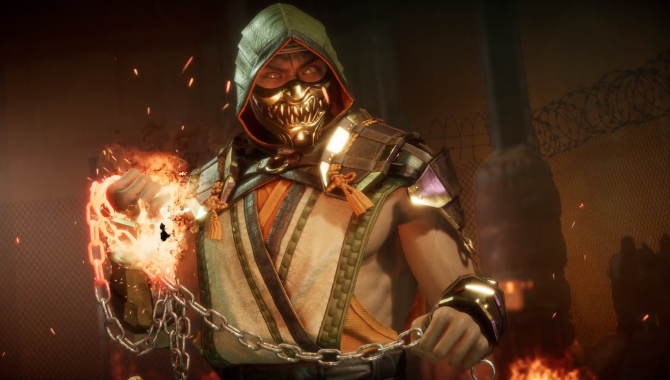 I’m not quite sure how much of a role he will play in the story in Mortal Kombat 11, but more often than not, characters that are part of the story in some way are usually playable in the game. I expect Shinnok to make a return in MK11. 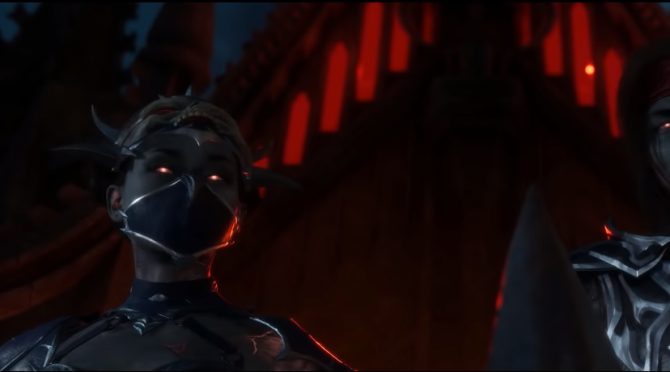 A new addition to the Mortal Kombat roster, Kronika has technically been present since the beginning. She is only coming out now because Raiden is really screwing with the timeline. There isn’t a lot of information on her just yet, but she’ll surely have some time manipulation powers, like Geras, and be a main player in the story. This is my boy; my favorite Mortal Kombat character ever. Jax is another staple in the Mortal Kombat franchise and the one I played the most in Mortal Kombat X. There is no concrete evidence yet that Major Jackson Briggs will be in Mortal Kombat 11, but I have a good feeling that he will be, mostly in part because of Sonya Blade’s notable appearance. The two have a history with each other and it wouldn’t surprise me if Jax helps out Sonya in some way or another. That or the mean, red-eyed version of him will try to hurt her. Who knows? Part of the reason that Mortal Kombat is so popular is due to the series’ awesome and iconic character designs. The ninjas of the series (Scorpion, Sub-Zero, Noob Saibot, etc.) are popular because they look cool. I think that same design mentality was used when creating the cyborgs of the series: Cyrax, Sektor, and Smoke. In Mortal Kombat X, these three cyborgs were under one identity: Triborg. As part of a DLC pack, this one machine houses the consciousnesses of Cyrax, Sektor, Smoke, and Cyber Sub-Zero. With the game leaning heavily on character customization, I could see Triborg being a solid character to show how that feature really changes how a character fights. Also, the cyborgs are really cool. I don’t know if I mentioned that, but I am now. So, Quan Chi technically died in Mortal Kombat X. But like it happens in comic books, death seems to be trivial in the Mortal Kombat universe. Quan Chi was a big player in Mortal Kombat X as one of the main antagonists, and I predict that Quan Chi will come back and have some kind of connection to the story of MK11. Again, like Jax’s relationship to Sonya, the sorcerer is uniquely tied to Shinnok. How I see it, if Shinnok is there, Quan Chi will certainly follow. Another staple character that has pretty much been confirmed to be in Mortal Kombat 11 is Kitana. At the end of Mortal Kombat X, Kitana becomes the ruler of the Netherrealm alongside Liu Kang, a character that I think will definitely appear in this upcoming entry. If Raiden plans on eradicating all those who threaten Earthrealm, he’ll have to encounter the two at some point. 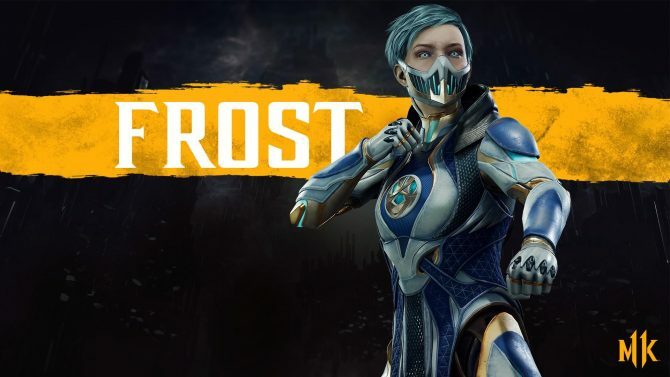 That is not the only reason I think Kitana will be in Mortal Kombat 11. Similarly to Liu Kang and Kung Lao, we see Kitana and Liu Kang stand together in the behind-the-scenes video. She’s also been playable in almost every Mortal Kombat game, so I don’t see a reason to stop including her now. You may be wondering, “why are Jade and Shang Tsung part of the same entry?” I believe they were secretly revealed from a couple of WWE Superstars. No, one of them was not Ronda Rousey. 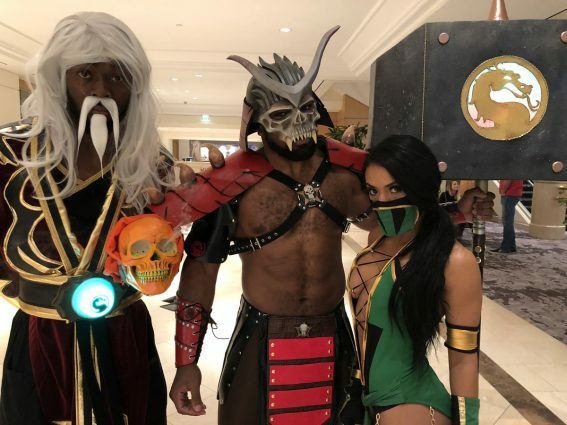 Xavier Woods is cosplaying as Shao Kahn, a character that is known to be in Mortal Kombat 11. Kofi Kingston and Zelina Vega are dressed as Shang Tsung and Jade respectively. From each of these wrestlers’ profiles, a few of their posts from the event contain the “ad” or hashtag, indicating that these were sponsored posts. Did Warner Brothers Games or NetherRealm Studios ask two-thirds of The New Day and Vega to specifically cosplay these characters? I may be looking too much into this, but it’s a possibility. Or I’m wrong, and that’s fine too. There is one thing in common with these three characters; they were not playable in Mortal Kombat X.
I think out of all of these picks, Sindel is the one that would make the cut in Mortal Kombat 11. While watching the stream, there were a number of characters people were just shouting out hoping they may suddenly appear in the game. Out of these three, Sindel was the one that the fans seem to want the most. That being said, Nightwolf and Stryker are some of my favorite characters from the series. Nightwolf was my “main” — if an incompetent child could have a main — in Mortal Kombat 3. I just think Stryker always had a pretty interesting and fun moveset, and I’d like to see both make a return to the series. 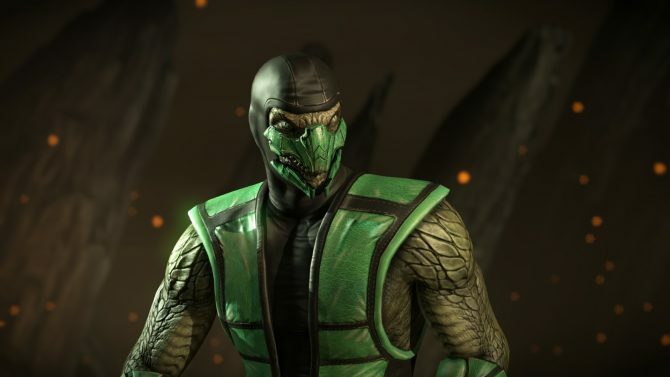 After Scorpion and Sub-Zero, Reptile is the third ninja that people typically know and love. Why do I think Reptile will be in the game? Well, like I said, fans know and love the character. Also, we were told he would be in the game. Shao Kahn is the real big bad of the series. However, the most notorious is the four-armed big boy, Goro. In a game that seems to be celebrating the present and the past, Goro is a must. The problem with this prediction is that Goro is typically just a boss and not playable. He was a pre-order bonus for Mortal Kombat X, but it seems that Shao Kahn has filled those shoes this time around. Maybe Goro isn’t in this game, but we’ll have to wait until April to see. The reveal I wanted to happen at the event was Johnny Cage coming to Mortal Kombat 11, and he would have a skin based on pro wrestler Cody Rhodes. Let me explain. A few days ago, Cody Rhodes shared a video of him opening the invite to the event. He was there. Now, if you know Cody’s wrestling persona as of late, he is very charismatic and egotistic. Basically, if Johnny Cage was a wrestler, he would be Cody Rhodes. Save for the d*** punch: that’s more of a Shinsuke Nakamura thing. 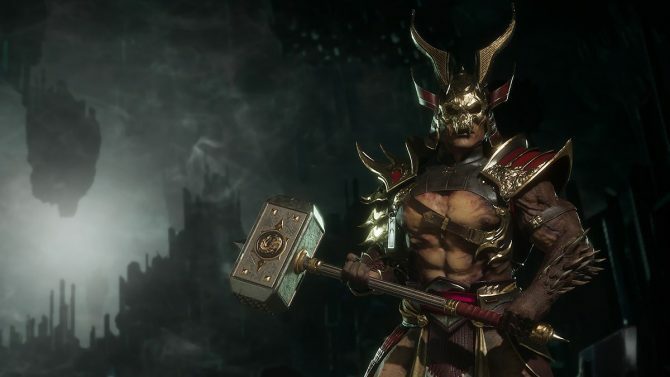 He wasn’t seen in the character select screen shown at the reveal event, but Shao Kahn is in Mortal Kombat 11, guaranteed. As announced earlier, those who pre-order the game will receive Shao Kahn, as well as access to the game’s beta. The real mystery here is if Shao Kahn will actually take one of these remaining character squares, or if another square will appear just for MK’s biggest and baddest boy around. Looking at the picture, he could have a space at the top making the grouping of characters symmetrical. If so, we may be looking at a total of 26 characters rather than 25. Like Sindel, Nightwolf, and Stryker, Kabal has not been a playable character since Mortal Kombat‘s reboot in 2011. However, unlike those three, Kabal was teased during the stream. We will know for sure by the end of the month but it’s almost certain he’ll be in Mortal Kombat 11. 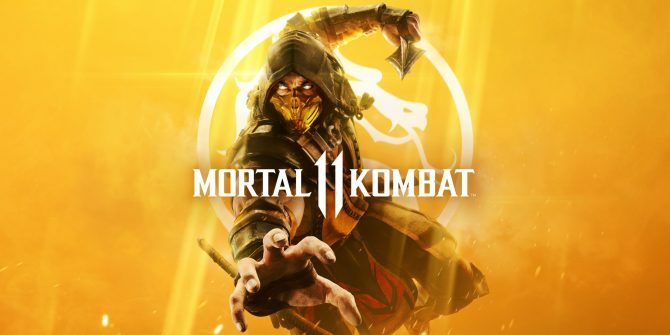 Mortal Kombat 11 will release for PS4, Xbox One, Nintendo Switch, and PC on April 23, 2019. If you haven’t preordered a copy of the game yet, you can do that right now over on Amazon and start getting ready to practice those fatalities.